You can modify configuration files: ASlotsSlotsSlotsUserCfg.ws and/or files in bin folder and use/upload it with your mod as part of Slots?Slots!SLOTS! !1 mod compatibility/integration/balancing preset etc. You can modify panel_character.redswf file located inside bundle and use/upload it with your mod as part of Slots?Slots!SLOTS! !1mod compatibility/integration if you keep reference to this mod on mod description page or in mod description or readme file if any. You can use translation resources and strings files from both main mod and GUI part of the mod to make and distribute translations for Slots?Slots!SLOTS! !1 mod. In general case you can use original or modified Slots?Slots!SLOTS! !1 mod files in your mod or translation if your mod require from the user to visit this page for original Slots?Slots!SLOTS! !1 mod installation. In other cases please contact me first. Thanks to user 534134293 for GOTY compatible mod update. Thanks to Sarcen for his Mod Editor! QuickFix for v4.5 bug. Changes bellow moved here from v4.5 change log. Added mutagen slots to tabs control!!! Added GUI tabs control, no more hidden slots!!! Complete code refactoring, to minimize impact on existing code to allow easier automatic mod merges etc. Adds additional fully functional skill slots and mutagen slots shown on GUI tabs! Allows to activate any number of mutations simultaneously. Latest v5.0 compatible with game version 1.32. There are a lot of changes in the v4.0+ version of the mod. The additional skill slots and mutagen slots are placed on the new GUI tabs!!! Mod should automatically update skill slots and unequip all equipped skills, mutagens and items one time only during the first start. Should work with mods that add new quick slots or equipment slots but not guaranteed (you may use it on your own risk or use older Slots mod v4.1 it should not conflict with such mods). 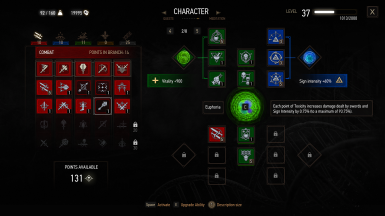 This mod will conflict with any mod that changes mutations, so before update you need to deactivate all active mutations activated by other mods and uninstall all other mods that modify mutations (follow the mod uninstall steps if provided by mod author). You don't need to do this if you are updating from Slots Slots Slots mod v3.0+. Read Usage section of description for details. Latest mod version needs a video review if you want to see your review video on this page please leave a comment or write me a message. * Default. 8 tabs. Minimal slot level requirements. Only slots on first 3 tabs add mutagen synergy bonuses. Unlimited mutations. Every tab has its own mutagen slots. * Ultimate. 8 tabs. All slots unlocked (except 4 mutation skill slots). No limitations. No needless additional mutagen slots (same 4 mutagen slots works for all tabs). * Balanced. 2 tabs. High unlock level requirements. 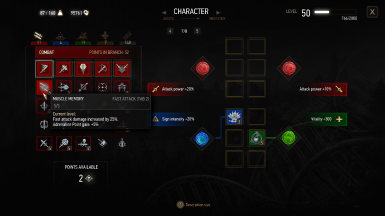 Master mutation level controls how much mutations can be activated (up to 4 active mutations). Every tab has its own mutagen slots. All 4 mutagen slot groups on the first tab and 2 top mutagen slot groups on the second tab add synergy bonuses. Leave your thoughts on this preset in the comments. The only difference between Slots mod versions is the settings in the config file so you may tune any mod version as you like see "Manual configuration" section for details. 3. Delete previous installed version of this mod. You should not use v3.5 mod with v4.0+ at the same time. 4. Make a backup copy of your save game folder before using any mods! (steam path example: D:\Steam\SteamApps\common\The Witcher 3\mods). You may configure mod options at any time when the game is not running see "Manual configuration" section for details. 6. (Optional) Unpack archive with the mod configuration menu to the <game_installation_dir>\mods folder. Go to installed mody_SSS5_gui_menu folder and run install_menu.bat file this will copy required menu files to the game bin folder. This mod is highly configurable. You may change almost every aspect of the mod. You may configure mod options using mod configuration file at any time when the game is not running. REMEMBER configuration file settings are IGNORED when there is mod configuration GUI installed and configuration GUI does not change settings in manual configuration file. You may edit this file using notepad. 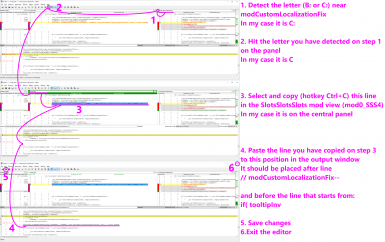 Inside you will find some small amount of code with detailed instructions on where and what values you may change. Instructions are the lines that start with double slash //. To change some option you should change number after "return" line which DOES NOT start with double slash under that options comments (instruction lines). 1. Tabs count which also affects skill slots count. Look for "function SSS_SlotTabsCount()"
2. Tabs affect mutagen slots. Look for "function SSS_MutagenSlotsTabbed()"
3. Maximum number of active mutations. Look for "function SSS_MaxActiveMutations()"
4. Unlock skill slots (except mutations skill slots). Look for "function SSS_UnlockAllSkillSlots()"
5. Unlock mutagen slots. Look for "function SSS_UnlockMutagenSlots()"
6. 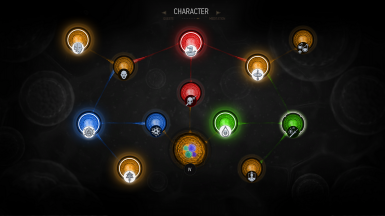 Disable color restrictions on 4 skill slots (in the center) added by mutations. Look for "function SSS_DisableMutationSkillSlotsColorRestrictions()"
7. Disable synergy bonus skill color restrictions (skill with any color adds synergy bonus to any mutagen) . Look for "function SSS_DisableMutagenSynergyColorRestrictions()"
8. Show last used skill slots tab. Look for "function SSS_RememberLastOpenedTab()"
9. BASE skill slot unlock level requirement. Look for "function SSS_AdditionalSkillSlotLevelRequirementsBaseLevel()"
10. Increment STEP for skill slot unlock level requirement. Look for "function SSS_AdditionalSkillSlotLevelRequirementsStep()"
11. BASE mutagen slot unlock level requirement. Look for "function SSS_AdditionalMutagenSlotLevelRequirementsBaseLevel()"
12. Increment STEP for mutagen slot unlock level requirement. Look for "function SSS_AdditionalMutagenSlotLevelRequirementsStep()"
13. Set skill slots which will not have synergy bonus. 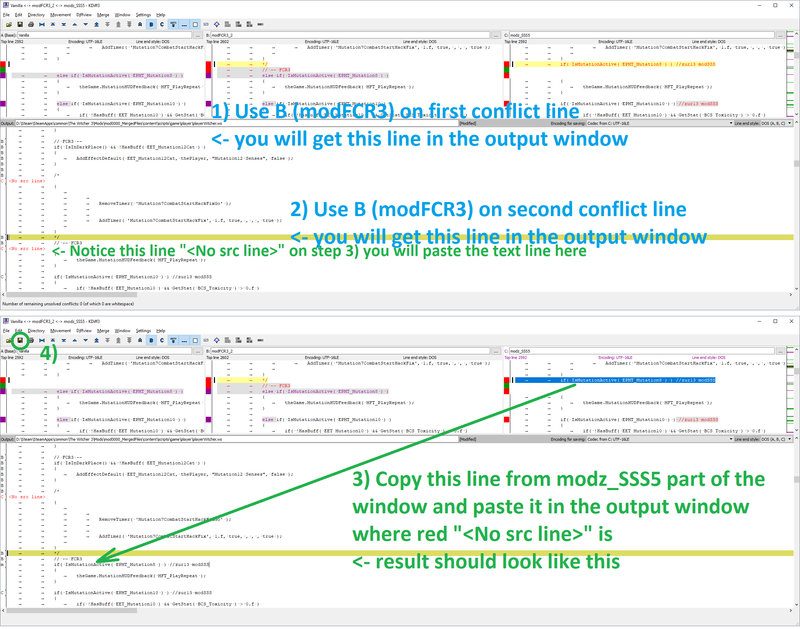 Look for "function SSS_FirstNonSynergySlot()"
General recommendation is to use Script Merger to resolve mod conflicts ALWAYS. * There may be problems when you trying to add new mod which adds new quick slots or equipment slots AFTER you had started to use Slots mod v4.5+. Slots mod will try to minimize possible impact even in this case but you may see strange artifacts and misbehave. To avoid this BEFORE installing such mod go to the save games you want to use after mod installation and unequip ALL items including mutagens on all skill slot tabs and save the game. This image shows you how to resolve conflict with More Quick Slots and Quick Inventory by Wolfmark mod. If you have already used mod which modifies quick slot or equipment slots BEFORE installing/updating Slots mod v4.7+ all should work fine. * Custom Localization Fix mod. You should use Custom Localization Fix mod updated for v1.31 check the comments section of the original mod for details. 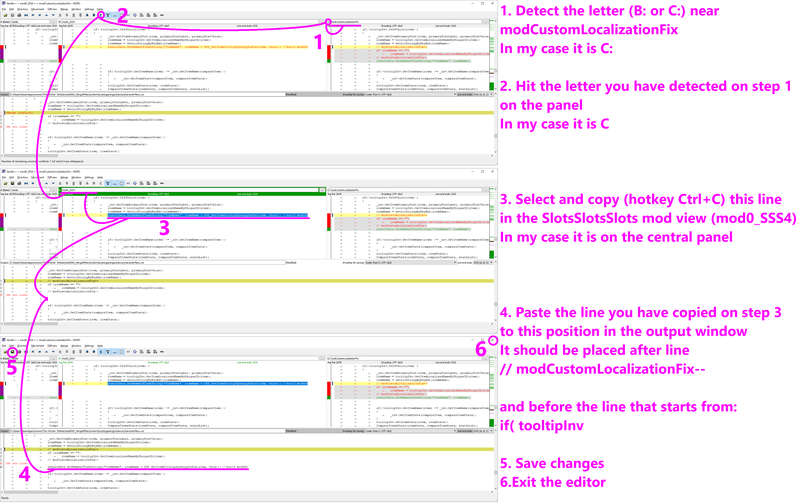 If you have problems merging Slots mod with custom localization fix mod check this tutorial image. * New Mutagens mod. 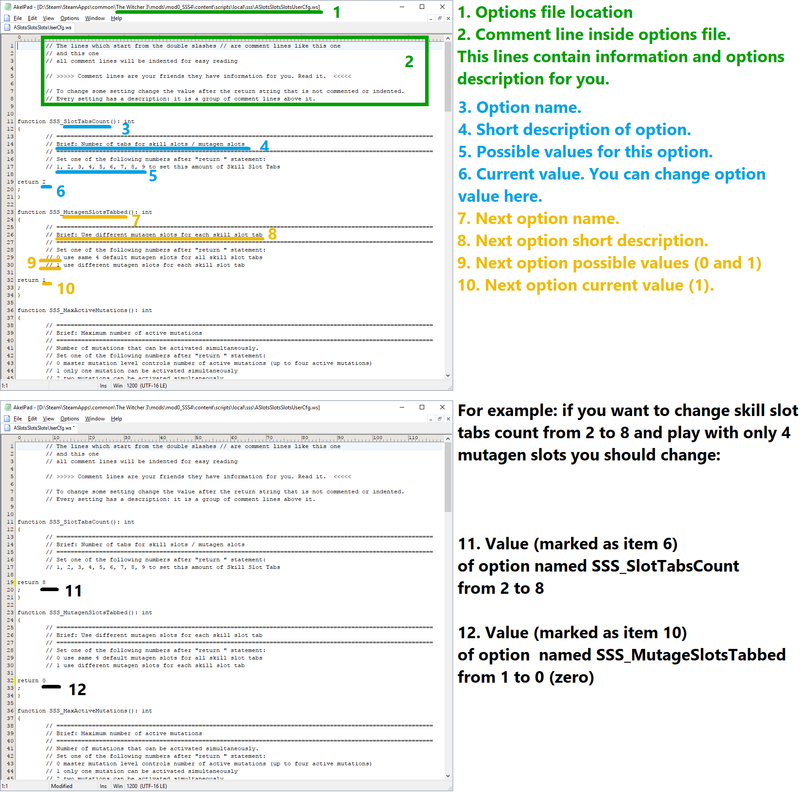 If you have problems merging Slots mod with New Mutagens mod check this tutorial image. * FCR3 - Immersion and Gameplay Tweaks mod. 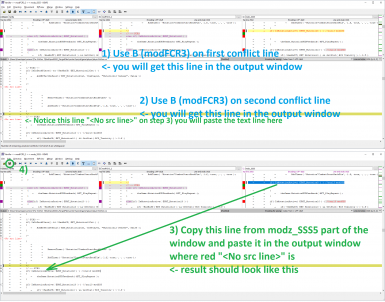 If you have problems merging Slots mod with FCR3 mod check this tutorial image. 1. Create backup of your save game folder. * Deactivate all active mutations if any. * Save the game into new save slot. 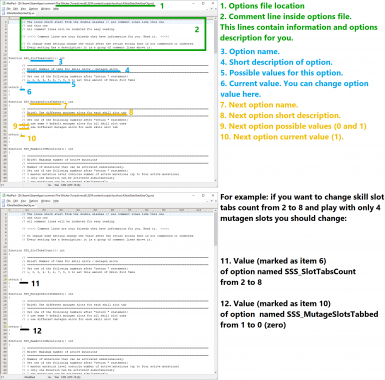 * Change SSS_SlotTabsCount option to 1 using manual configuration. * Change SSS_MutagenSlotsTabbed option to 0 using manual configuration. * Change SSS_UnlockAllSkillSlots option to 0 using manual configuration. * Change SSS_UnlockMutagenSlots option to 0 using manual configuration. * Open and close character window to apply configuration changes (the window with skill slots, default hotkey K). 7. Remove the mod folder from <game_installation_dir>\mods folder. 8. Run script merger and update merged files. You may navigate through skill slot tabs using hotkeys  and  mouse clicks on GUI tab buttons or using Left Trigger and Right Trigger on gamepad. Skill tool tip will show you on what tab the skill is equipped. Mutagen slots may be affected by tabs or not. So you may have more than 4 mutagen slots (4 slots per tab) or you may have 4 mutagen slots for all tabs. This may be changed in configuration file. 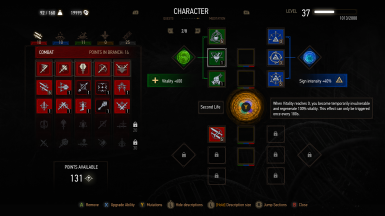 You may activate any number of mutations same time (mutations can be unlocked during one of Blood and Wine DLC quests). Just activate new mutation as always, you'll see that all previously active mutations stay active. Slots mod v4.5+ allows you to limit number of simultaneously active mutations. You can't deactivate single mutation. When you deactivate any active mutation all active mutations deactivated. Mutation skill slots will be colored as mutation activated first. 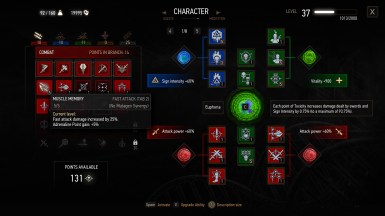 There is minor visual glitch with master mutation (Strengthened Synapses) appearance on Mutations screen: the master mutation will have color of a random active mutation not the first one. Description bellow is not valid for v4.0+! Unification Patch will make your version of the game almost identical to GOG GOTY version of the game (GOG GOTY version after this patch will be backward compatible with non-GOTY versions) and allow mod authors to release single version of their mods compatible with all versions of the game. This is required if you want to use Slots mod with Friendly HUD mod and some other mods (you should use Script Merger and merge mods as always). 2. Make a backup copy of your save game folder before using any mods! 3. Unpack archive to the <game_installation_dir>\mods folder (steam path example: D:\Steam\SteamApps\common\The Witcher 3\mods). If mods folder doesn't exist, create it. Check that you don't create modSlotsSlotsSLOTS inside modSlotsSlotsSLOTS folder when unpacked. The final path should look like that <game_installation_dir>\mods\modSlotsSlotsSLOTS\ inside you should see content folder. Use Script Merger to resolve mod conflicts. 5. Set desired amount of skill slots. After loading existing save or starting the new game first time after mod installation go to in-game menu Options->Gameplay->Skill Slots Count and select desired amount of skill slots (this should be done via in-game menu not on start screen). Please note: in most cases if you don't have the new options inside Gameplay section of the in-game menu (options are added only to in-game setting menu not to start screen options menu) that means something went wrong during mod installation and mod may not work as intended. You should try to resolve the issue first. In some cases when the in-game menu options are not available you may want to manually configure mod options. You may edit it using notepad. 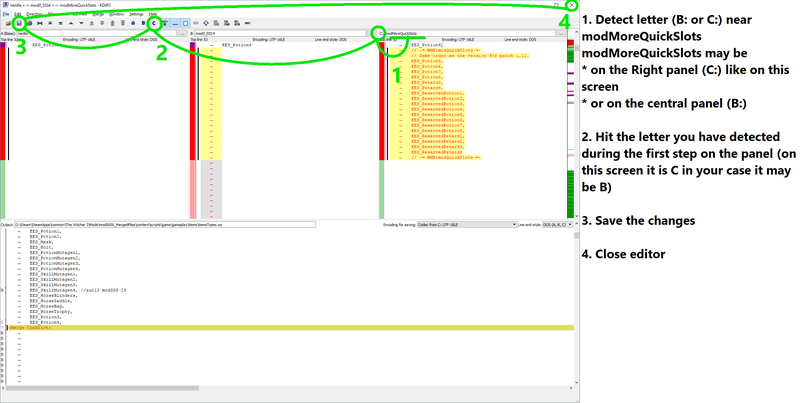 Inside you will find some small amount of code with detailed instructions on where and what values you may change. If the value for some option set to something else then -1 the item for this option will be hidden from game menu. When you have set some option manually it will be applied next time you open the skill menu in game (some changes will require you to confirm changes in confirmation dialog that pops up when you open the skill menu). In case you've changed both options same time you have to open the skill dialog twice to confirm both changes. Deactivate all active mutations if any. Change slots count to 12 in the options menu. Deselect unlock all skill slots checkbox in Gameplay menu if was selected. Save the game into new save slot. Remove the mod folder from <game_installation_dir>\mods folder. After loading existing save or starting the game first time after mod installation go to game menu Options->Gameplay->Skill Slots Count and select desired amount of skill slots (this should be done via in-game menu not on start screen). To equip skill in hidden slot just place the skill in the first skill slot of any skill group the "use hidden slot" confirmation dialog will appear. If you agree to use hidden slot skill will be equipped in the first free hidden skill slot of that group. If you disagree to use hidden slot skill will be equipped in the selected skill slot. Skill tool tip will show you in what skill slot and skill group the skill equipped. To uneqiup skill from hidden slot you should place that skill in any default (not hidden) slot (like when you move the skill from one slot to another) and then remove it from that slot as usual. Empty slot tooltip will show you the total number of skill slots (including the hidden). Skills in the hidden slots are also add synergy bonus to the skill group mutagen just like the skills in the default slots. The hidden slots are distributed equally between the 4 skill groups. To control the synergy bonuses power you may want to place some skills into skill groups with non-matching mutagen color so the skill will be active but will not add synergy bonus. You may activate any number of mutations same time (mutations can be unlocked during one of Blood and Wine DLC quests). Just activate new mutation as always, you'll see that all previously active mutations stay active. 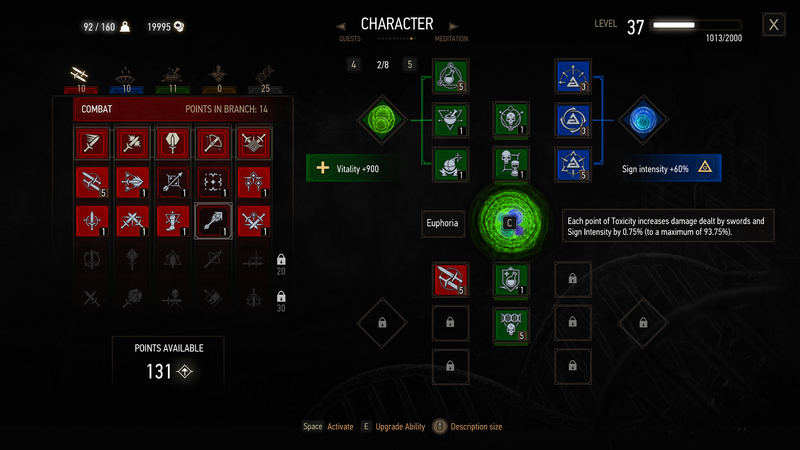 There is minor bug with master mutation (Strengthened Synapses) appearance on Mutations screen: the master mutation will have color of random active mutation not the first one. REMEMBER: You should deactivate all mutations and save the game before mod uninstall. It will may be incompatible with other mods that modify any of this files (see Troubleshooting section for details). If you are using GOTY edition (v1.31) and have problems with this mod try this solution. Use GOTY version of the mod. If you see errors with " 'Could not find function 'IsAllDLCsAvailable' " try to use previous version of Slots mod v3.4. The mod based on Steam version script sources, after latest update (1.31) Steam version differs from 1.31 GoG non-GOTY version which cause the error with Slots mod v3.5 to appear. You see errors with any mods installed. Error [content0]game\behavior_tree\tasks\monsters\bttaskmaintainspeed.ws(10): Class 'CBTTaskMaintainSpeed' already defined. Error [content0]game\behavior_tree\tasks\monsters\bttaskmaintainspeed.ws(74): Class 'CBTTaskMaintainSpeedDef' already defined. Error [content0]game\behavior_tree\tasks\reactions\bttaskisman.ws(4): Class 'CBTCondIsMan' already defined. Error [content0]game\behavior_tree\tasks\reactions\bttaskisman.ws(15): Class 'CBTCondIsManDef' already defined. 2. For game version 1.21 I've uploaded my sources to the misc section of this mod download file "Witcher 3 patch 1.21 script sources for players having problems with compiling any mods" unzip this file into your "<Path To The Witcher 3>\content\content0\" folder and it should fix the general error. Make backup of your scripts folder inside content0 folder before replacing it. 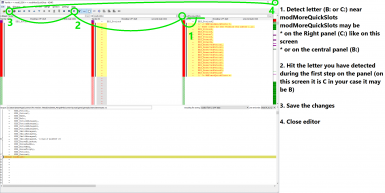 Warning [content0]engine\telemetrykeyword.ws(9): Native function 'Log' was not exported from class 'CR4TelemetryScriptProxy' in C++ code. A2. If you see some other errors in most cases this means you have mod conflict with some other installed mod, see below. You have several mods installed and you see errors during first launch of the game after this mod installation or the game crashes when you trying to use mod slider in options menu. There is a description of mod conflict here under the spoiler (click "Show" button to display the possible solutions). 1. You may delete conflicting mod. 2. You may try to use mod merger tool something like this one. 3. If there is only problem with options menu you may set the desired amount of skill slots manually as described in "Manual configuration (Options)" section. Q. It keeps telling me no empty hidden slot found but I didn't use any hidden slots yet. A. For the latest version of the mod you should set desired amount of skill slots using the game menu or manually. Q. I've installed version with different number of slots but I still have same number of slots as in previously installed mod version. A. (for v1.4 only) You should use Potion of Clearance to force the game to refresh hidden slots. GUI panels are compiled into swf files but with non standard format modifications from CDPR and it seems that the game engine uses Scaleform player to show it in game. As for now it is possible to edit redswf files but the process is painful because instruments has limited capabilities (it is possible to make some small changes by editing low level functions inside swf files). Mod Lucky Gwent for example required some minimal changes inside redswf file. As for now I don't see the way to add more GUI skill slots. Enjoy! Remember to endorse if it works for you!